An effective project management with alerts and reminders! 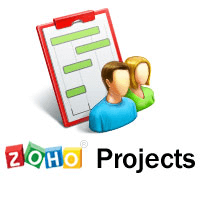 Milestones, task lists and tasks in ZOHO Projects help you break down complex projects into easily manageable units. Get more refined control with subtasks, recurring tasks, and dependencies. Gantt charts provide a detailed visual on the progress of your tasks in comparison to what was planned. Zoho Projects provides in-depth insights into your team's progress.